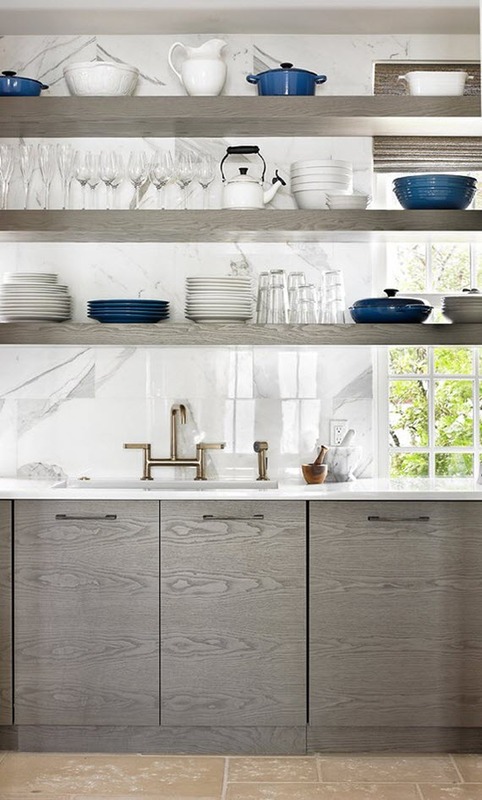 It’s a look that albeit isn’t for everyone, seems to be increasing in popularity: Kitchens with open shelves. 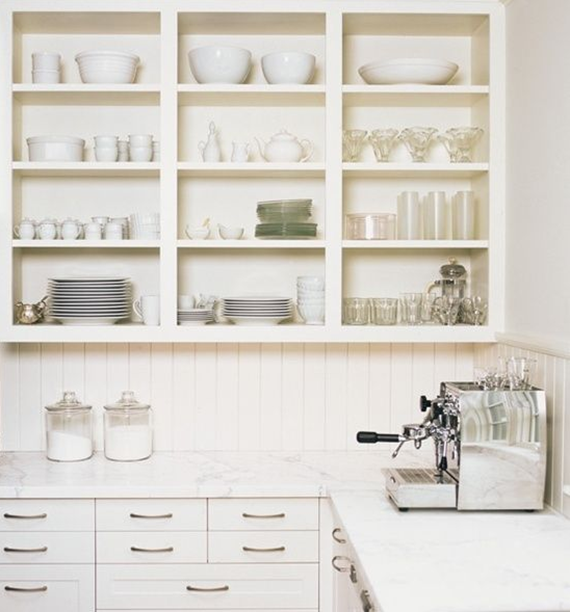 Opening shelving in a kitchen will make the space seem larger and give an airy, uncluttered feel. 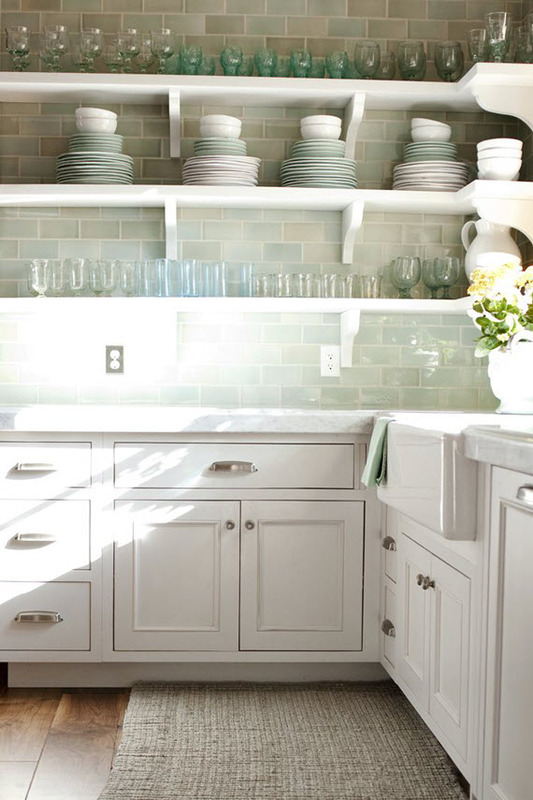 It’s also a great way to display beautiful dishware. However, be mindful to select items that coordinate and to not overdo it – a jam-packed, cluttered shelf will only make the space feel smaller. 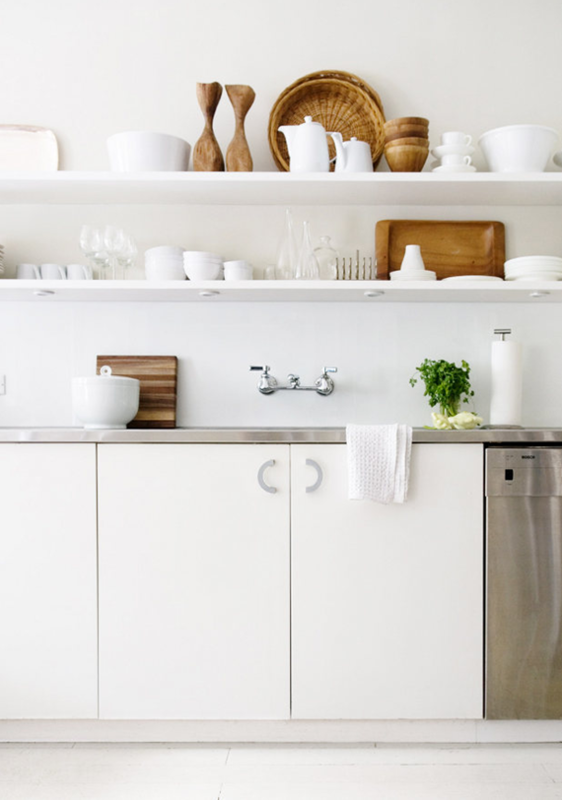 If you are considering this look in your kitchen, I’ve pulled a variety of examples of beautifully styled open shelves. 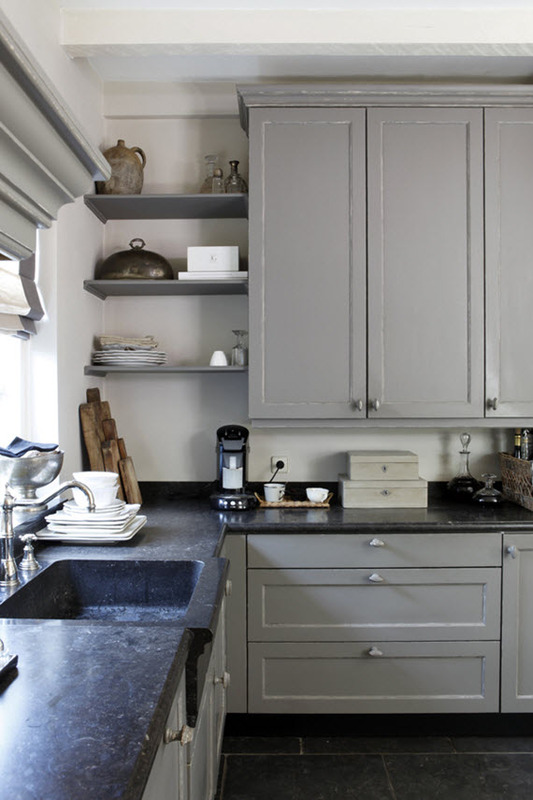 For an easy way to have open shelves in your existing kitchen is to simply remover the cabinet doors, fill in the holes where the hinges were and paint inside and out. 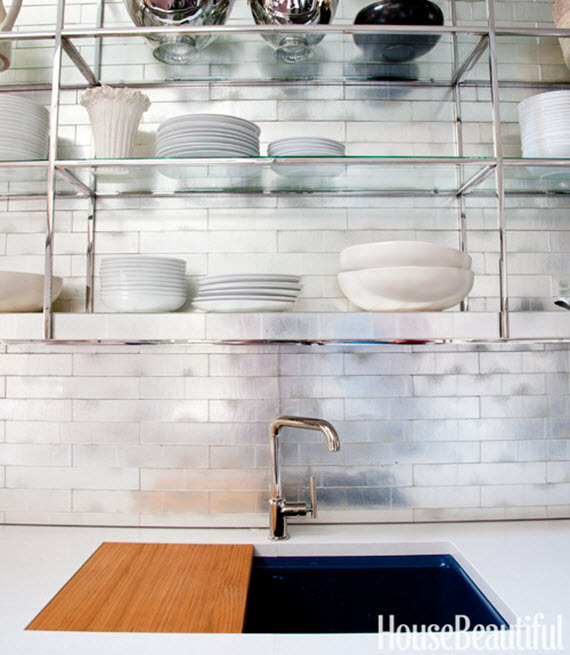 The example below is a kitchen that I think did just that. And speaking of kitchen design, I’m over the moon to be able to attend the Kitchen and Bath Industry Show (KBIS) and the Design & Construction Week with BlogTour, presented by Modenus.com. Both tradeshows will be happening in Las Vegas the week of February 2-6. Along with a team of 14 other designers and design bloggers from both Canada and the U.S., I’ll have the opportunity to spot the latest trends and discover the newest products – all of which I will share with you here and on twitter using #BlogTourVegas! I’m so excited! A huge thank you and shout out to the sponsors of BlogTour Las Vegas: KBIS, Blanco, Poggenpohl, Sub-Zero, Dekton, Mr Steam, Top Knobs, Wood-Mode, Formica Group, Walker Zanger and TOTO USA for giving me the opportunity!